23-year-old Hoda was still a student at the University of Chicago when she founded JooJoo Azad, a politically charged fashion blog. She was thrown into the spotlight when on WGN Chicago to promote her self-published photography book, "Tehran Streetstyle", the anchors chastised her for not sounding "American". The NYTimes, Glamour, and The Guardian picked up the story, and since then her name and message have blossomed throughout the country. 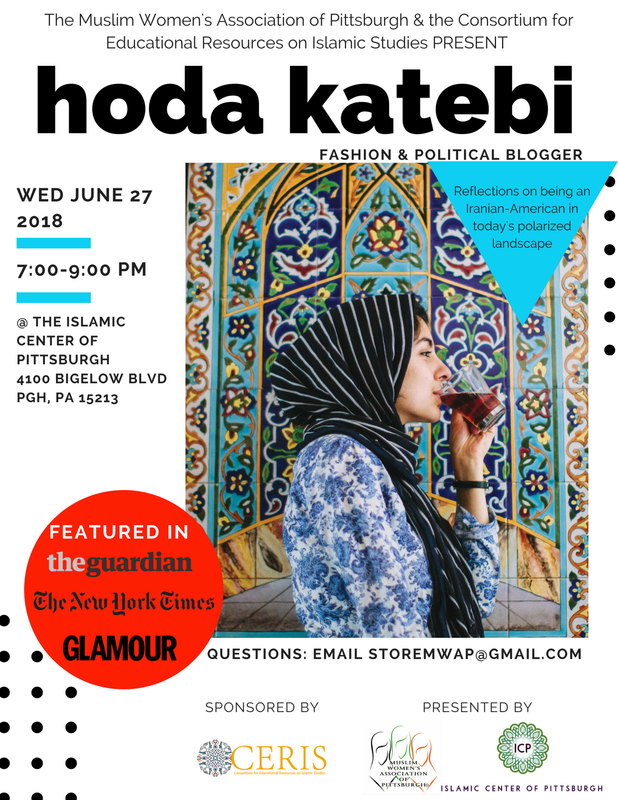 The Muslim Women's Association of Pittsburgh is teaming up with the Consortium for Educational Resources on Islamic Studies (www.cerisnet.org) and the Islamic Center of Pittsburgh to host Hoda's talk for one night only.